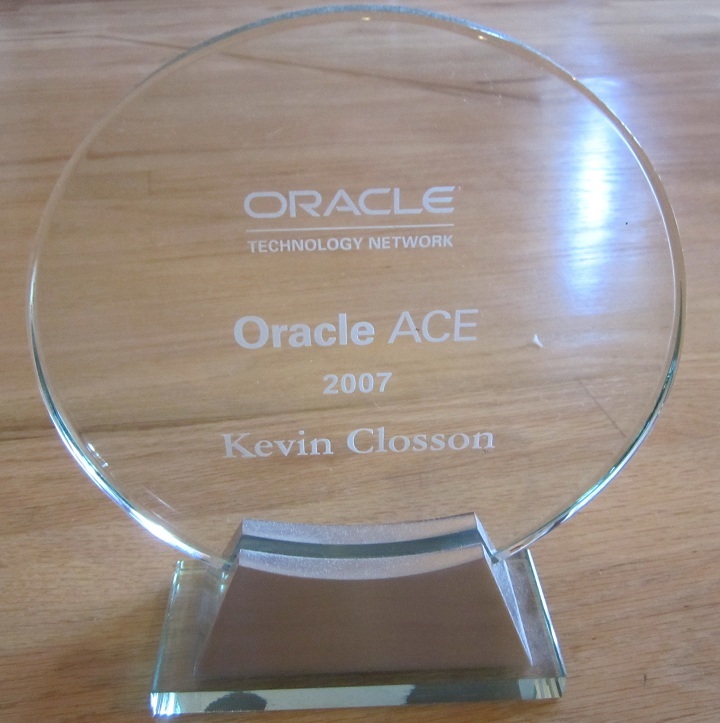 « Adding An EMC XtremIO Volume As An ASM Disk With Oracle Database 12c On Linux – It Does Not Get Any Easier Than This. Want to hear about future support for T10 Data Integrity Format/Data Integrity eXtensions myself, not double parity. 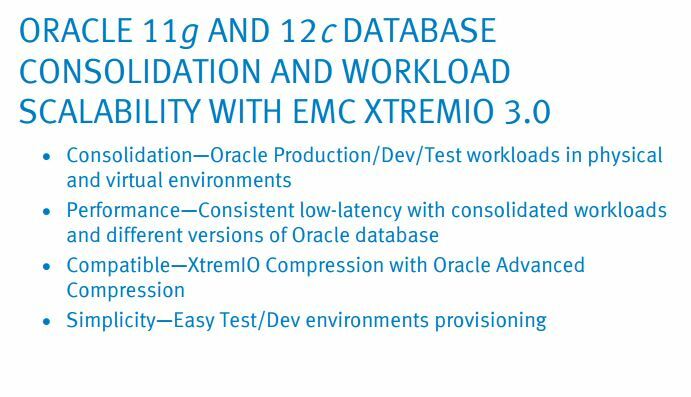 Great comparative analysis between EMC XtremIO 3.0 inline compression combined with the Oracle 12c ACO. I’ve been wondering just how much ACO compression levels were actually impacted by manipulation of the PCTFREE option. These findings appear to indicate that PCTFREE=0 is required in order to achieve maximum compressibility with Oracle 12c ACO. An overall 16.7 percent reduction in total physical space consumption on an all flash array sounds like a substantial overall flash storage savings for the archival of cold/historical table partitions. Evidently, the Oracle 11gR2 (11.2.0.4) and Oracle 12c Data Pump COMPRESS option still requires that ACO be fully licensed in order to utilize that feature with the Oracle 11gR2/12c Data Pump utility. Ultimately, I guess it boils down to a total Oracle licensing cost per core evaluation versus the total flash storage savings cost/benefit analysis in order to determine if the total flash storage savings justify licensing the Oracle 12c ACO. Just how valuable is the actual volume of data that can be compressed and/or what level of table/index compression can actually be achieved?